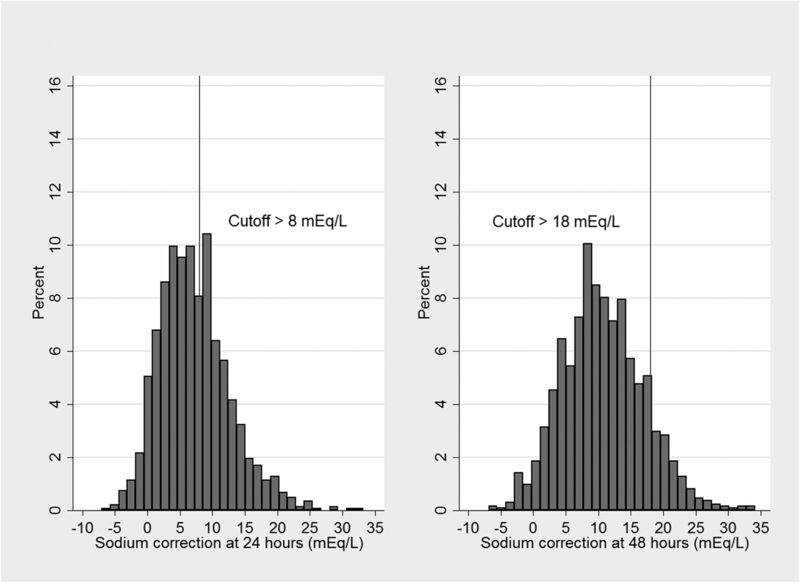 Distribution of sodium correction from baseline to 24 and 48 hours and degree of sodium rise above cutoff level in patients admitted to Geisinger with initial serum sodium <120 mEq/L. 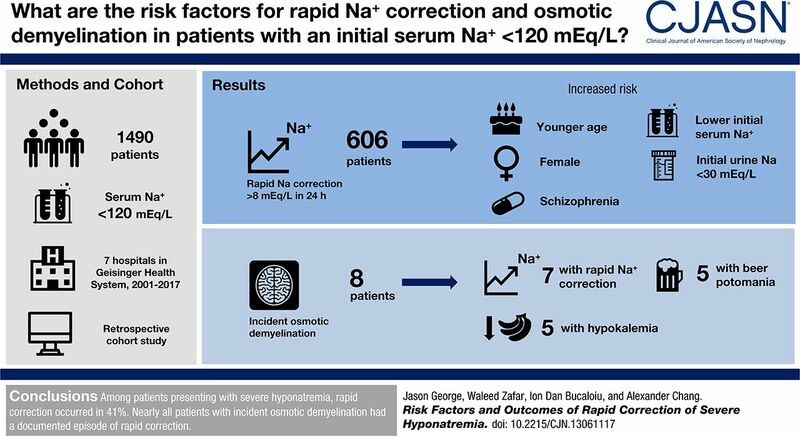 Serum sodium trends during the first 24 and 48 hours of admission in patients with radiologic evidence of osmotic demyelination. Values are presented as mean (SD) or number (%). ICU, intensive care unit; Na+, sodium. MRI, magnetic resonance imaging; Na+, sodium; D5W, dextrose 5% in water; HTN, hypertension; OSH, outside hospital; RA, rheumatoid arthritis; MELD, model for end stage liver disease. ↵a Checked after receiving 3% saline. ↵b Per follow-up progress notes. ↵c On salt tablets as outpatient.